EDINBURG — The uncle of a Hidalgo County commissioner will remain appointed to a powerful board, for now, despite statements last week that the appointment would be rescinded this week. 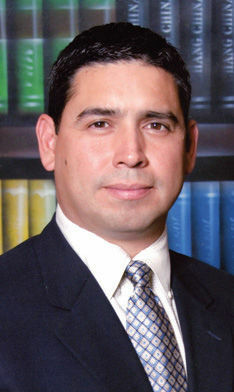 The appointment of Ezequiel Reyna Jr., a local attorney and developer, to the Hidalgo County Regional Mobility Authority Board of Directors drew criticism last week when news broke that Reyna had been nominated by his nephew, David Fuentes. Fuentes, the Precinct 1 commissioner for Hidalgo County, appeared to have violated the state’s law on nepotism by appointing his uncle to the board, which has oversight of major transportation projects throughout the region, including the proposed 365 Tollway. Last year, the seven-member board administered revenue that exceeded $40 million. County officials last week said they would rescind Reyna’s appointment at Tuesday’s commissioners court meeting, but took no action on the issue based on advice from legal counsel. Steve Crain, the county’s attorney, told commissioners Tuesday he had just been informed of “additional facts” before Tuesday’s meeting and asked commissioners for more time to review the issue. He did not offer specific details about the new information he obtained. Fuentes welcomed Crain’s advice and said he wanted to make sure everything was done right. Commissioners took no action on the item and will instead review the appointment in the near future.